For hiking lovers who have spirit for adventure, this spectacular trip through an extremely beautiful and diverse landscape is an absolute must. The “White Mountains” National Park, the only national park in Crete, is located in the southwest of the island in the regional unit of Chania. 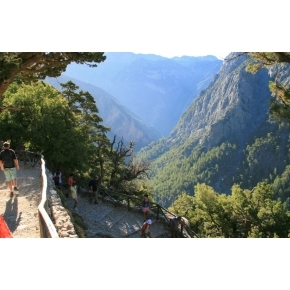 It consists of the Samaria gorge along with the surrounding slopes and a number of smaller gorges branching off from it, and offers protection to over 450 fauna and flora species, 70 of which are endemic to Crete. 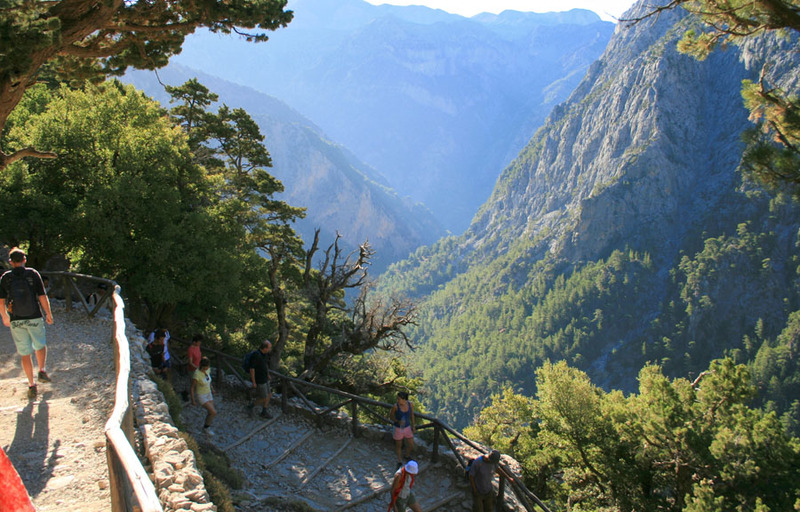 The Samaria gorge was created by a small river running between the White Mountains and Mt. Volakias. With a length of 18 km and width of 150m at its widest point and 3m at its narrowest, it is the largest and undoubted the most impressive one in Europe. The hiking trip starts from the settlement of Omalos on the northern side of the plateau. , at an altitude of 1,250 meters and continues down to the un-spoilt fishing settlement of Agia Roumeli, on the shores of the Libyan Sea. The most famous part of the gorge is the stretch known as the Gates where the sides of the gorge close into a width of only three meters and soar up to a height of almost 300 meters.